This year, Madeline and I split up our time with Capcom to check out a few different games, and the one I wanted to see the most was Mega Man 11. As much as I love the Mega Man series, this was another practice in futility for me as the same ‘ol song of learning by dying came about. I expected it, it’s a new game, and running into the two new villains of Blast Man and Impact Man were bound to be a challenge. I just didn’t realize I would have an entire line of people behind me nodding in agreement. Alas, the minute I came across my first Met (which for those who don’t know, is the little dude inside the construction helmet) I knew what was in store for me. I managed to make it to the end of both levels and took on both villains with the best of my ability, but was ultimately crushed as I didn’t know their pattern that well and didn’t have the right abilities to combat them beyond my blaster and Rush giving me a boost on occasion. 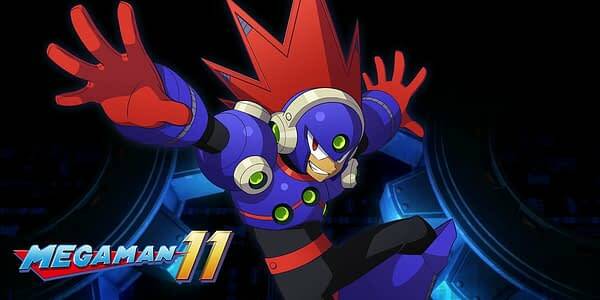 But I will say this, it just makes me want to play Mega Man 11 more. I look forward to reviewing it in October!